This is a great way to practice with Nike golf balls at an afforable price. These golf balls are a random mix of models such as Nike Juice, Karma, Mojo, Crush, PD Soft, PD Long, PD High, PD Straight and others. The balls are a mix of grades A and AA and may have scuffs, scratches and player markings such as logos and texta marks. Some of the balls may be discoloured however none of the balls will have major cuts. At these prices these Nike golf balls represent a great way to practice with your favourite brand without breaking the bank. We are currently offering a flate rate of $8.50 postage on all orders regardless of how many golf balls you purchase! Delivered on/ exceeded expectations on all three areas. 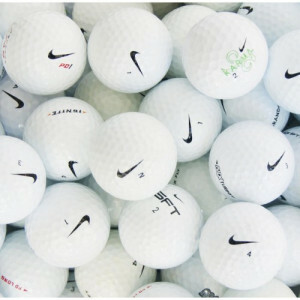 Assorted Nike Practice Grade Golf Balls This is a great way to practice with Nike golf balls at an afforable price. These golf balls are a random mix of models such as Nike Juice, Karma, Mojo, Crush, PD Soft, PD Long, PD High, PD Straight and others. The balls are a mix of grades A and AA and may have scuffs, scratches and player markings such as logos and texta marks. Some of the balls may be discoloured however none of the balls will have major cuts. 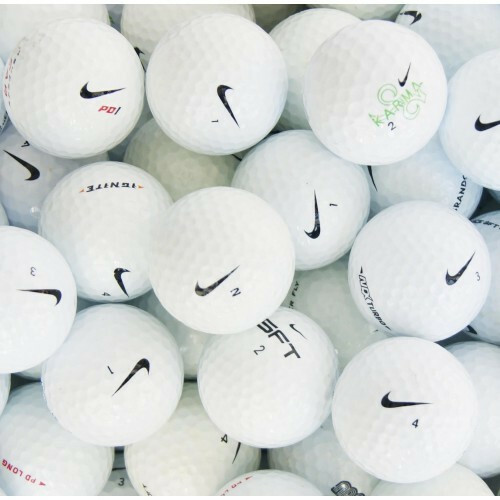 At these prices these Nike golf balls represent a great way to practice with your favourite brand without breaking the bank. We are currently offering a flate rate of $8.50 postage on all orders regardless of how many golf balls you purchase!